Statistic: After 6 years, Shaka Smart’s win percentage as a head coach is .744 percent. Coach Mike Krzyzewski had a win percentage of .370 in his sixth year. Monday, March 16th – On Monday I was moving a little slow since the Madison+Main Express arrived Sunday at midnight. I managed to make it to the MMMMM (Madison+Main Monday Morning Meeting) on time. We celebrated Lindsey’s 2 year anniversary with a team lunch featuring her all time favorite food… Chipotle. I’m just glad her favorite food isn’t Lobster. We launched a new interactive directory for Virginia Women’s Center where patients can select a healthcare provider based on who best fits their needs. This new website feature allows you to search doctors, specialists and nurse partitioners by specialities and location. It’s very cool, cutting edge stuff for medical practices and you can check it out here. Statistic: 41% of US consumers would be willing to switch doctors to gain online access to their medical records. Tuesday, March 17th – On Tuesday, I was chauffeured by Account Manager Casey Severinghaus to and from Virginia Beach where we presented our clients at the Dragas Companies new brand and campaign concepts. They loved the concepts and we love working with them. Statistic: 33% of all home sales in the US last year were first time buyers. 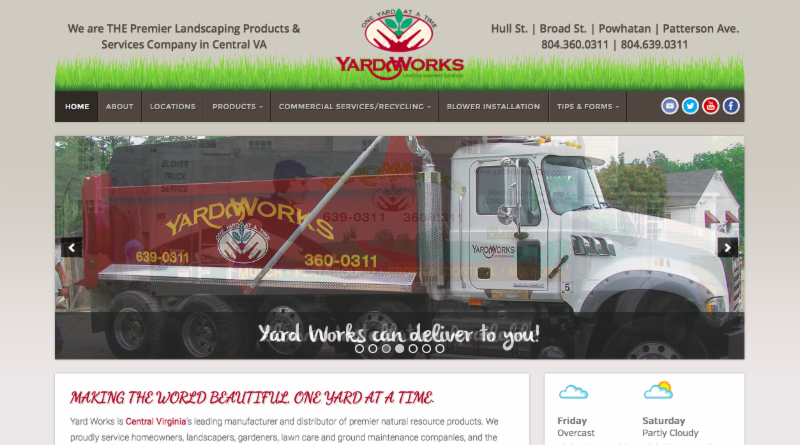 We also upgraded Yard Work’s website with a new e-commerce system that allows you to buy their products directly from the website and have them delivered directly to your home. I just ordered 15 yards of mulch online in about 3 minutes. It’s Mulch Madness, baby! Wednesday, March 18th – On Wednesday Kara was in town, which is why Jessica left for the day. #justkidding. Kara was in town to work face to face with a couple of clients and Jessica took a mid-week break to hang out with her mom who was in town. #awwsweet. We had a very productive meeting with our friends from BES Studios, Mark Remes and Stephen Lyons, as we moved forward with a web video project. At lunchtime I dropped by the 20th floor of the East Byrd building to give a brief presentation to the wealth advisors at Morgan Stanley on the benefits of online marketing. Wednesday night we held our March Media Mixer at the Tobacco Company (we didn’t have a February Mixer because of the snow) and more than 80 friends, clients and partners showed up to drink craft beer and eat delicious coconut encrusted shrimp. Big shoutout to Tobacco Company. They do an excellent job year after year, for over 4 years. Visit Tobacco Company here. 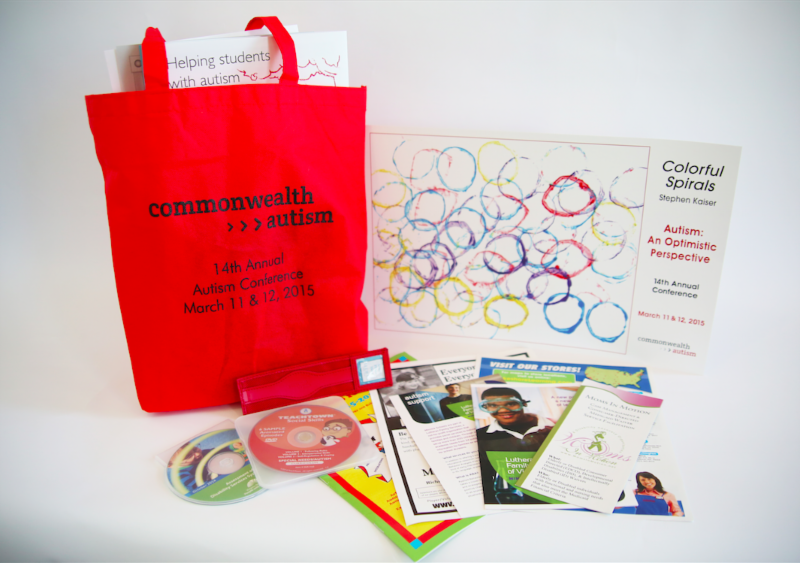 Madalyn and Casey attended the 14th annual Autism Conference last week and they snapped a photo of all these cool things (which we designed). Thursday, March 19th – On the first and third Thursdays of the month I have to put on a tie and go to Insiders Club, because rules are rules and the rules at the Commonwealth Club are older than I am. We had a great annual breakfast meeting Thursday morning and my fellow members voted me Secretary. Insider’s is the oldest networking group in Richmond, founded in 1976. After the meeting, Cassie, Lindsey and I called up Molly Q and sang Happy Birthday to her. Molly is a Pisces and it appears that her baby will be born around Tax Day, which will make her an Aries. Wishing Happy Birthday to a colleague who is 9 months pregnant has special meaning. 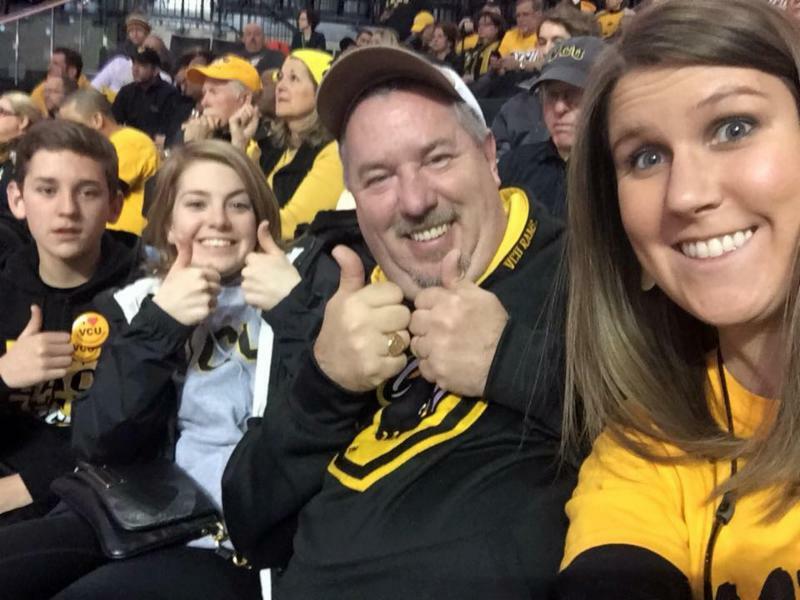 Shh, don’t tell anyone I left work early to go see the Rams play in the 2nd round of the NCAA Tournament. Don’t ignore Google+. If you want to get better search engine rankings for your company’s website, you may want to spend some time on Google+. Facebook and Twitter and LinkedIn are great places for your company to be and get most of the attention, but posting regular content on Google+ may give your website a boost. Yesterday afternoon Shawn McNamara managing partner at Maid Meisters stopped in to talk about marketing. They have a great company and we have used them for the last 2 years. They do a great job keeping our offices spotless. Visit their website here. Statistic: I have 4,045 connections on LinkedIn. Speaking of networking success, why haven’t you connected with me on LinkedIn yet? It’s easy. Click here.